And even more importantly, what happened to him? What was the eventual fate of this member of the British aristocracy who, it’s claimed, murdered his children’s nanny mistaking her for his estranged wife? These strange events took place on November 7th, 1974 and Lord Lucan, nicknamed Lucky by his friends, was never seen again. Did he kill himself in remorse after murdering his children’s nanny? Did he flee the country to start a new life in foreign parts? Did he really commit murder or was it, as he had said, a stranger who had caused the fatal attack? Was he protected by his aristocratic friends? Was his wife, as he claimed, a madwoman who wasn’t fit to be have custody of their children? What’s more, is he still alive and a fugitive from justice? But the fact is that on that November evening, the locals and clientèle of the London pub, the Butchers Arms, were astonished when a blood-spattered woman dashed through the doors sobbing that her nanny had been murdered, that she’d been attacked and that her children were alone in the house — possibly with a murderer. This was Lady Lucan – Veronica – and her story was that her estranged husband had attacked her, brutally murdered the live-in nanny, Sandra Rivett, and fled into the night. His story, told to a friend that night and in letters to others, was very different. He claimed that he had been passing his estranged wife’s home when, through the window, he saw what he thought was her being attacked by a stranger. He entered the home and saw off the intruder only to realise that the nanny had been murdered and his estranged wife had been brutally attacked. Lord Lucan had fled by this time and had telephoned his mother, then gone to the home of a friend. He was in a shocked and shaken state. He drove off into the night, in a borrowed car, and has not been seen since. His estranged wife stuck to her story. She explained that Sandra Rivett, who was supposed to have been having her night off on November 7th, had gone into the basement kitchen to make cups of tea. Veronica explained that when Sandra didn’t reappear, she went in search for her. But before she could go down the stairs into the kitchen, she was bludgeoned about the head. She struggled with her assailant (she made the smart move of grabbing him by the testicles)and when they both fell back exhausted, realised that it was her husband. The went upstairs, Veronica lay on the bed and Lord Lucan went into the bathroom to get a wet towel to clean her head wounds. When she realised that he wouldn’t be able to hear her because of the running water, she escaped from the house. 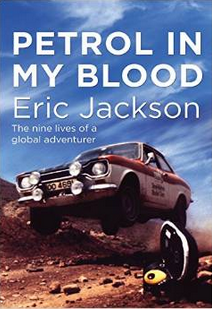 She also said that he had admitted to her that he had murdered Sandra Rivett. 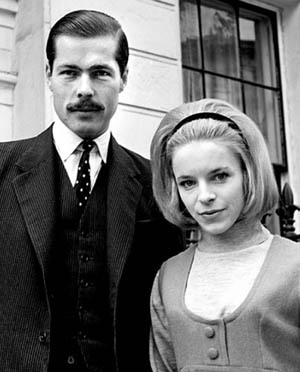 An inquest was held and it was determined that Lord Lucan had killed the nanny. But had he? The generally accepted story was that Lord Lucan had entered the home – he still had a key – knowing that it was his wife’s habit to have a cup of tea at about 9pm. He also knew that, being a Thursday, it was the nanny’s night off. But Sandra had switched nights. It was alleged that he had removed the bulb from the kitchen light and in the dark assumed that the woman coming into the kitchen was Veronica and attacked and killed her. The fact that he had fled was seen as being proof of his guilt. Why would Lord Lucan murder his wife? Two chief reasons were put forward. The first was that Lord Lucan was a gambler and heavily in debt. It’s said that one of the reasons he wanted to get rid of his wife was because he wanted to sell the family home in order to pay off his gambling debts. Lucan and his wife were embroiled in a bitter divorce case. He was very concerned bout the fact that she had been awarded custody of their children. She had a history of mental illness and he believed that she was not a fit mother. In fact, she was given custody of the children on the condition that she employed a nanny. This implies that the court believed that she was not capable of caring for the children herself — meaning that they believed Lord Lucan. This what what concerned him terribly. He was appalled at the thought ff his three children being in the care of a woman who he considered to be unhinged. Another theory has come to light. Did Sandra have a boyfriend who could have been responsible? See the video below. When he disappeared, there were reported sightings of him from places all over the world. (It was similar to when Elvis died in the USA). These started almost as soon as the warrant for his arrest was issued and I remember that there was also a ‘sighting’ just a few years ago. We have to remember though that Lucky Lucan had many rich and influential friends. It would be relatively easy for him to change his appearance, with or without plastic surgery. Many people believe that he fled abroad (Africa being the most popularly suggested location) and started a new life. Others assumed he had killed himself either because of remorse or because he would not be able to see his children again. Will we ever know? If indeed he did free abroad then he could still be alive — he was born in 1934. Will he reappear one day? The secretary of one of his powerful friends claims that she arranged plane tickets for his eldest two children to go to Africa on several occasions. This was so that their father, who was supposedly living there, could see them. Not meet them, but observe them from afar. See the video. One of the most amusing ‘sightings of Lord Lucan took place in 2003. A former Scotland Yard detective became aware of a man who bore a ‘startling resemblance’ to Lord Lucan. This chap had been living in Goa. Unfortunately, by the time the ex-detective found out about this man, the bedraggled, rather down-and-out chap had been dead for several years but the detective remained convinced that he had discovered the truth about what had happened to Lord Lucan. 3) – A Norwegian sailor? You’ve just got to be joking! 4) – Lucan has evaded justice but his subsequent life and his eventual end will probably never be known. I so love reading your stories of this nature, and of course I love mysteries. Disappearances are one of the most fascinating of those. I remember the news reports from 1974 about this murder, and the suspicion on Lord Lucan. My thoughts are that the crazy ex-wife did it, and blamed it on him. But then, I watch a lot of forensic shows on TV. hahaha!